UFC heavyweight champion Stipe Miocic didn’t need to go five full rounds against Junior dos Santos this time. The rematch at UFC 211 in Dallas on Saturday night lasted just 2:22 in the first round, with the current champion Miocic successfully defending his title via an emphatic TKO. Miocic not only avenged his last loss in the UFC, but he pocketed an extra $50,000 in the process. Miocic was awarded a Performance of the Night bonus for his quick work of Dos Santos, which tied him for the most successful heavyweight title defenses in UFC history. 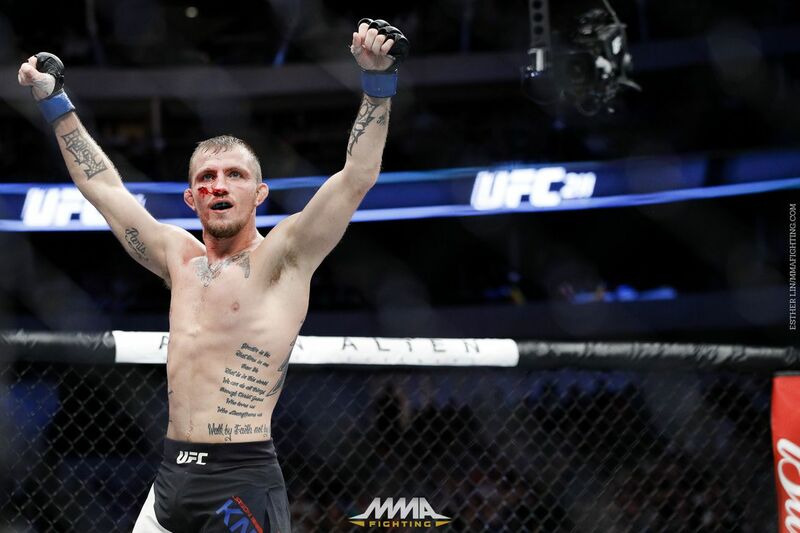 Also taking home a performance bonus was Jason Knight, who scored a third-round TKO over Chas Kelly for his fourth straight victory. Knight asked UFC president Dana White for a bonus during his in-Octagon post-fight interview, and was obliged. It was the third time he’s won an end-of-the-night bonus. The Fight of the Night went to the heavyweight battle between Chase Sherman and Rashad Coulter, which took place on the prelims. Sherman kicked Coulters lead leg continuously through the bout, all but rendering the leg useless. Yet Coulter stood in anyway, and kept fighting back. He ultimately succumbed to a KO (elbow) in the second round, but the fight featured plenty of drama. Each received $50,000 for their efforts.